What is the mood of the wedding? Do you want big and formal or small and intimate? The style of your wedding dictates how many people you’ll want to attend. If you like the idea of a lot of guests but have a limited budget, think about having a cocktail-style reception rather than an expensive plated dinner. The reception takes the biggest slice of the wedding budget and you need to think of each guest as having a price tag on their head. You don’t want to appear mean, but you have to ask yourselves just how important it is to have each person on the list with you on your special day. Accept early on that you won’t be able to invite everyone you would like to your wedding. The venue may not be big enough and you probably can’t afford it. If numbers need limiting, look at not inviting workmates’ partners and maybe having a child-free reception. Unless you have an unlimited budget, deciding on the guest list is going to be an exercise in tact and diplomacy. So how do you decide who gets an invitation? Traditionally the guest list is split 50/50 between the bride and her family and the groom and his family. But it’s often not straightforward as that and you’ll need to take other factors into consideration. The number of guests you can invite will be determined by the size of your venue. 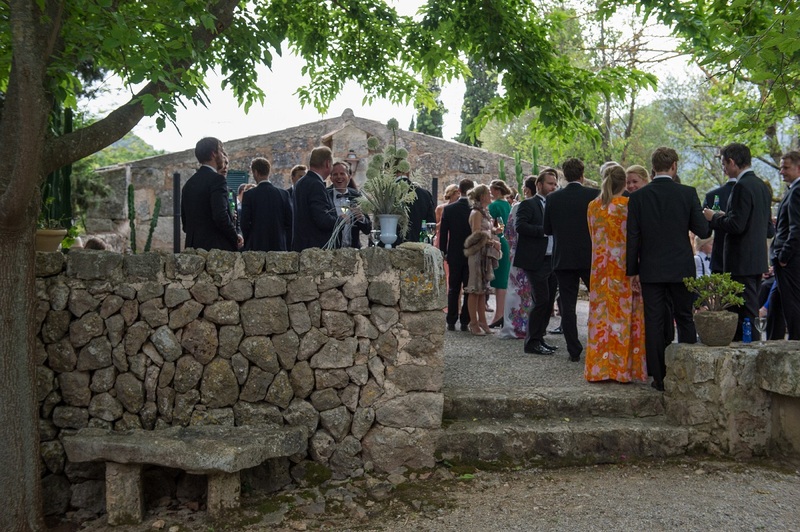 An average-sized wedding venue in Mallorca can accommodate 80-140 seated for dinner. If you want anything bigger, your choice of venue will be quite limited. If you or your groom has a large family and you want to invite them all, three-quarters of your guest list could be filled even before you start thinking about workmates and other friends. Your parents will want to invite family and if they are paying the majority of the wedding bill, you’ll have to listen to their wishes. If this sounds familiar, then you’ll have to think about compromising somewhere along the line. At the planning stage, you have to be realistic about how much you can afford. It’s no good thinking you can invite everyone if you don’t have a big budget. Think of each guest as a sum of money: the more guests you invite, the more you have to pay – it’s that simple – so think carefully about your numbers. You could leave out the partners of work colleagues or have an adults-only wedding, asking friends and relatives to leave their children at home. You should expect approximately 10-15 per cent of your invited guests to decline, for one reason or another, so you can either have a B-list of invitees ready or accept that you can save some cash on the numbers and spend it somewhere else. 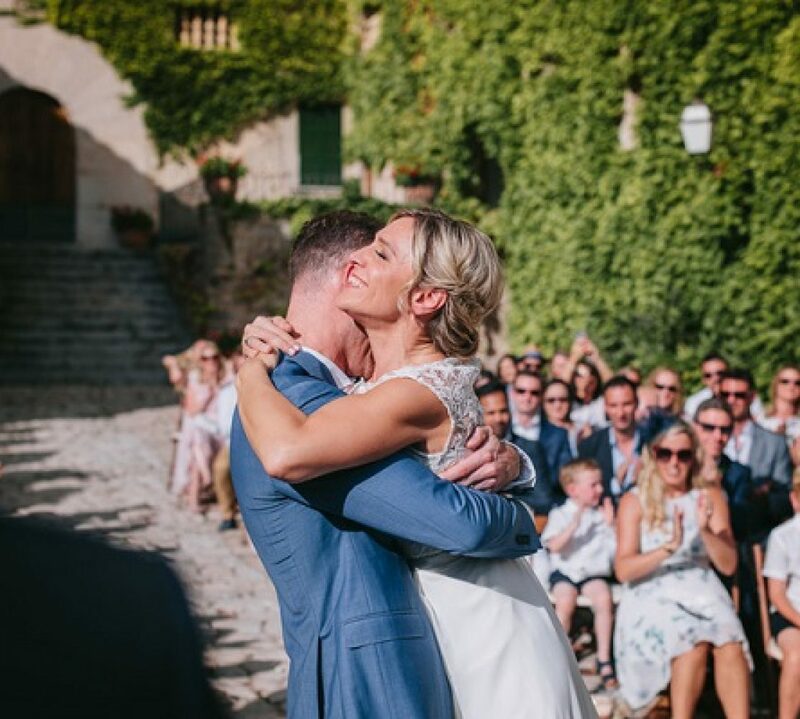 Being the focus of attention at a huge wedding sends shivers down the spine of many couples, so a small celebration in Mallorca with close friends and family with a blow-out dinner will be much more appealing than a major event. It’s your day and people will understand if you tell them that is really what you want. You can always have a party at home to celebrate your first month of married life without the fuss and formality.